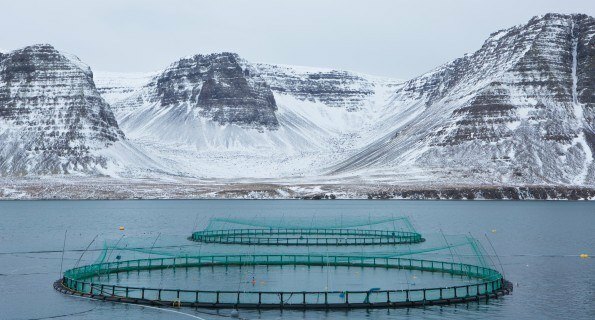 Arnarlax fish are included in SalMar's harvest figures following its purchase of a majority stake in the Icelandic farmer. Photo: Arnarlax. Norwegian fish farmer SalMar harvested 35,400 tonnes (gutted weight) of salmon in the first quarter of 2019, it said in a trading update today. The amount comprised 18,200 tgw from SalMar’s Central Norway business, 15,100 tgw from Northern Norway and 2,100 tgw from Icelandic salmon farmer Arnarlax. Last year SalMar harvested 31,900 tgw in the first quarter but this did not include salmon from Arnarlax because it was then classed as an associate company, the same as Scottish Sea Farms, in which SalMar has a half share. In February SalMar paid £16 million to increase its shareholding in Arnarlax from 41.95% to a majority 54.23% and announced its intention to make an offer for the remaining shares. The volume from Arnarlax is now included and will be consolidated from February 2019. In the period February to March harvested volume from Arnarlax was 2,100 tgw, while for the full quarter Arnarlax harvested 2,300 tgw. The full Q1 2019 report will be released on May 22.